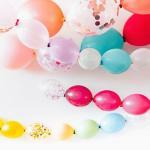 Welcome to a short explanation about the "DIY Balloon Decoration Search" tool. 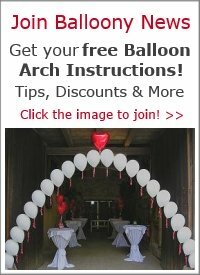 Looking for the balloon arch length formula? 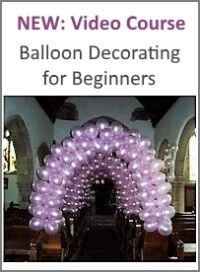 Can't remember where you saw a tip about tying a balloon knot without ending up 'all fingers and thumbs'? 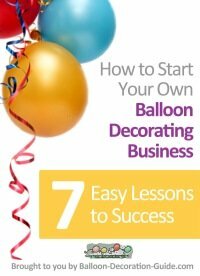 Wondering where the instructions for the self-made balloon sizer are located? To help you find what you are looking for we have included a powerful search function on each page. The results are quick and accurate, and you will find you anything on our site in only a second or two! For example, if you'd like to find out in which designs we used, let's say a heart balloon, just enter the words "heart balloon" in the search box located on each page under the headline (always use quotation marks if you want to find exactly this phrase) and press the search button. P.S. A Great way to stay up-to-date on any new pages on our site is by subscribing to our free e-zine Balloony News.